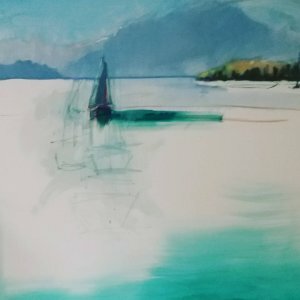 Holiday Gift Portrait, sailboat in progress, and under cover. 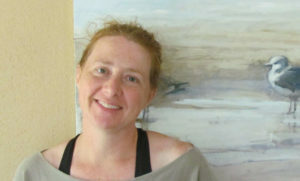 Today I finished a lovely portrait I’ve been working on for a week. I can’t wait to find out if it makes the collector’s gift recipient happy. I hope so! I feel like it’s some of my best work yet. AND… One of my paintings was on TV! Twice! Here’s the latest one. 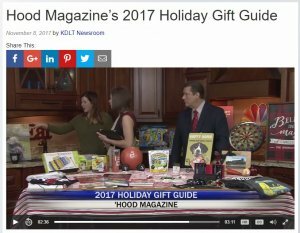 It’s the 2017 holiday gift guide from Hood Magazine on KDLT in Sioux Falls. Steff mentions me (very nicely!!) at 2:27 in. I’ve got a lovely add in Hood magazine, and they took my work onto two TV stations.. This magazine has been so good to me! I recommend them wholeheartedly. If you’re in Sioux Falls and you want to know what family events to check out, check out Hood Magazine. And finally, here’s a happy painting! 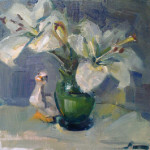 Under Cover, 8×8 inches, available.